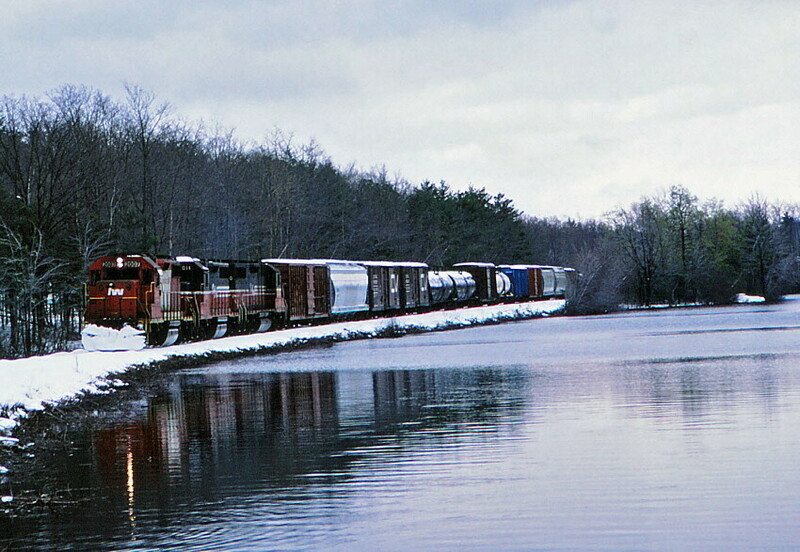 The P&W skirts Maple Spring Pond on its run north to Gardner. Photographed by Bruce Macdonald, April 29, 1987. Added to the photo archive by Bruce Macdonald, March 11, 2019.